Medical practitioners are required to obtain a minimum of 20 CPD points per CPD year for the renewal of the APC. The collection of CPD points for the application of APC for a CPD year shall be from 1st July to 30th June, e.g. CPD points for the application of APC for 2020 shall be from 1st July 2018 to 30th June 2019. There is no maximum limit to the number of CPD points a medical practitioner may obtain in the given CPD year. Extra CPD points earned in a CPD year cannot be carried over to the ensuing year. Kindly be informed that MMA has been mandated to administer CPD points for all registered medical practitioners in the country. MMA will undertake to collate and tabulate the CPD points for all doctors (Members and Non-Members) without any applicable fees. In view of this, MMA has come up with a new CPD system online - all CME/CPD events will be managed through the online system by the CPD/CME Provider (eg. National Heart Association of Malaysia). We encourage all our doctors to download the MMA CPD app on their smartphone. Once downloaded on your phone each user will have a unique QR code by which event organisers can scan (using MMA Scanner) and record your attendance and instantly update your CPD points. By using this app you're also able to view other CME events approved by MMA. This app can be used by MMA members and non-members. MMA members should login with their email and password using the same credentials as used for the MMA website. 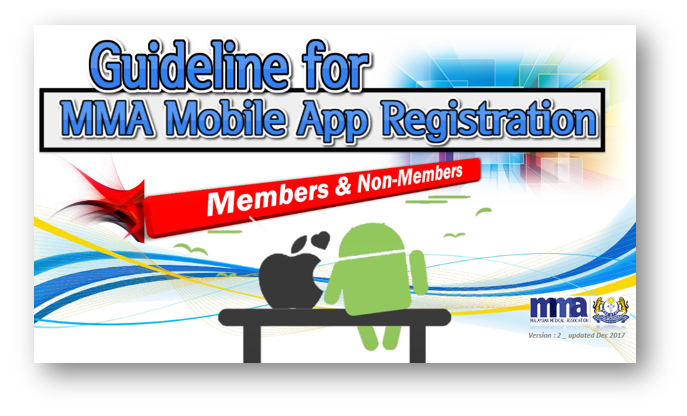 For non-members, you have to sign-up via the app but usage of the app is free. 1) Are CPD and CME the same thing? 2) Are CPD points for doctors compulsory by law? 3) Which year should I start collecting CPD points? 4) Can I carry forward extra CPD points? No. CPD points may not be carried forward. They will reset to zero every year come 1 July. 5) How do I get CPD points? The MMC has assigned the task to MMA to organise CPD for doctors in the private sector (GPs and Specialists) and also register CPD providers. 6) Do I have to pay to use the MMA CPD App? No. You can register and use the MMA CPD App for free. There is no registration or subscription fee. 7) Do I have to be an MMA Member in order to use the MMA CPD App? No. The MMA CPD App can be used by MMA members and non-MMA members. However you HAVE to use the App if you want to get CPD points. 8) How to I get the app and use it? You can get the download links for the app (available for iOS and Android) - search for "MMA Malaysia". i) MMA Members (current or lapsed) just need to LOGIN to the app. Do NOT sign up. Login with the Email address which you have registered with the MMA. If you have forgotten your password, please use the Forgot password link in the app to reset it. After you reset it, login via the App, not the website. ii) Non-MMA Members must choose the Sign-up button. 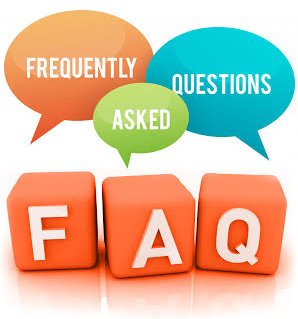 In the signup process you will first be required to authenticate your email. After that, you have to fill in your details including the MMC registration number so get that ready. You may get a “approval required” but you can login to the app straight away after that. If you have login or sign up problems, please email cpd@mma.org.my for help. 9) How come I see ZERO points? If this is the first time you have used the app, it is likely that you will start with ZERO since the system does not capture points retrospectively. You will only start getting points for events you attend which have been registered and approved by the new MMA CPD system. 10) How are points captured? The most efficient way is to present the QR Code in your Profile section of the app, and have it Scanned by the Event Organiser. This will automatically record your attendance and assign your points (you may have to refresh the app but an automatic refresh feature is in the works). The scanner app and login credentials are available to CPD Providers who have re-registered via the new MMA CPD system. The Event organiser can also mark manual attendance and upload this later so you can still get the points PROVIDED you have already registered with MMA as a CPD user by using the app. 11) How about overseas meetings and other CME activities? 12) What points am I eligible for? CPD points are determined by the MMC CPD Grading system (skip to Page 9). The MMA CPD Committee follows this schedule set by the MMC when assigning points for events. The MMC has stipulated that specialists need to accumulate at least 50 points of the 100 CPD points collected over a 5 year period as points relevant to the specialty. The MMA CPD system is employing specialty Tags so that users will be able to determine if they have this requirement.